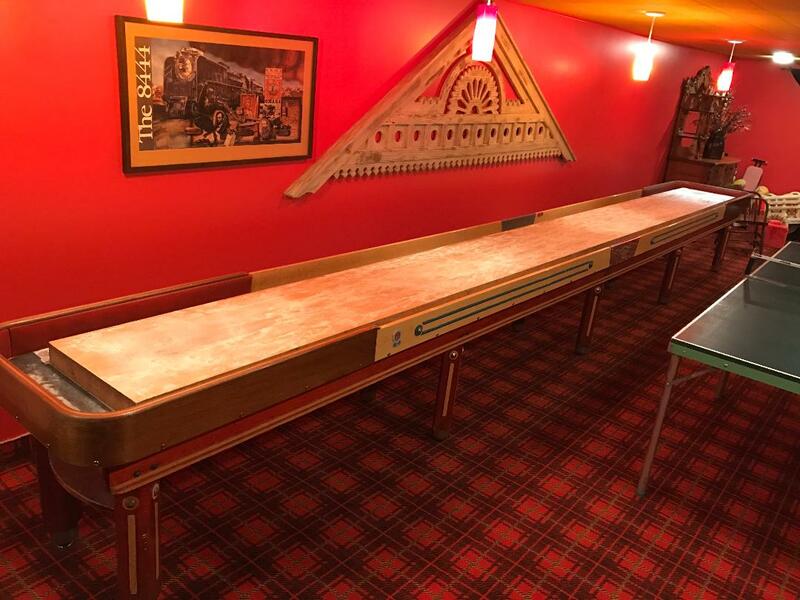 If you’ve owned a shuffleboard for a very long, you start to noticed that the pucks aren’t working as well in some areas as others. You may also be getting marks and other undesirable things happening to your table. I’ve put together a quick shuffleboard cleaning and maintenance guide below to try and help. That makes it a lot easier to get it all clean and is nice aesthetically too. If you need to clean just the furniture part of the table, most of the time you can just use your standard furniture polish/cleaner. You can also use a vacuum to get all the excess wax out of the side channels, just make sure you don’t accidentally pull up the felt from the bottom if your table has it there. Is there an alternative to shuffleboard wax? Not really. I know it feels like sand or sawdust, but it’s a specially made material just for shuffleboard. Nothing else is designed to work well on it. I think if you used anything else it would just make a mess or scratch up your table. In fact a lot of people call it sand or think that’s what it is, so when buying a used table make sure that they actually have the right stuff on it. Hopefully this has helped point you in the right direction for cleaning/maintaining your shuffleboard table. I know a lot of people are confused on what you should do at first, they know the table isn’t playing like it was before but aren’t sure how to fix it. Luckily it’s an easy fix in most cases. I will say that occasionally the problem is beyond a wax or cleaning issue, sometimes the table has warped due to improper storing or humidity issues where it’s located. In that case, it can take a lot of work to fix the table.